Present your most popular wines, in the best way possible! 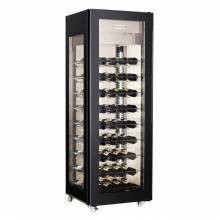 Show off your collection, with our selection of wine cellars and merchandisers, featuring products from Vinovero. 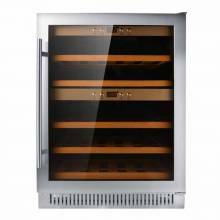 Our collection capacity ranges from 46 to 200 bottles, all outfitted with attractive beechwood racks and glass display. 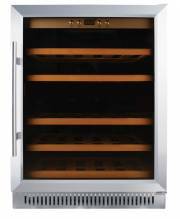 Available in single or dual zones, these wine cellars are equipped with temperature control and cooling modes, with attractive internal lighting. Our wine cellars/merchandisers provide an eye-catching and efficient way to display and store wine.